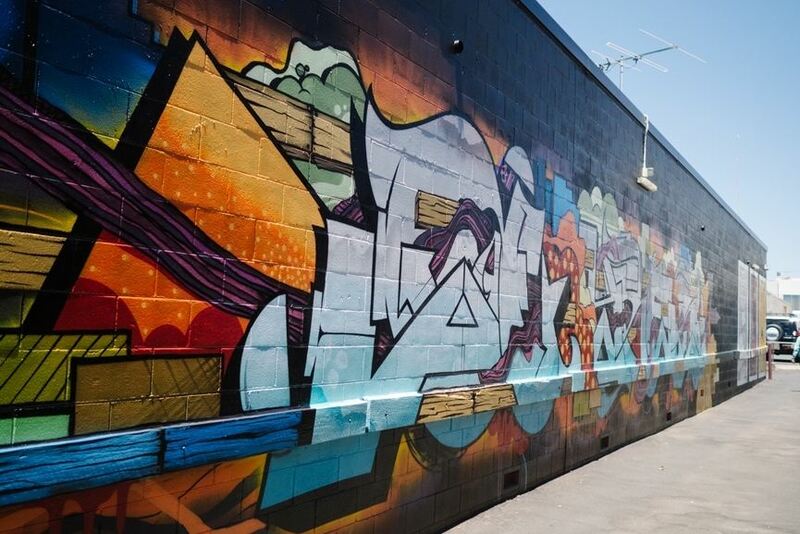 Australia is definitely one of the hottest destinations for street art today, as the super-creative artists and brilliant festivals are constantly multiplying. 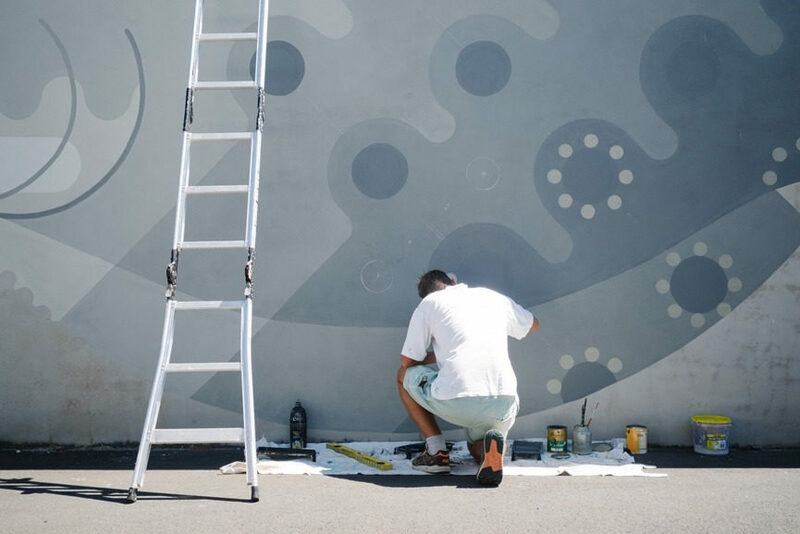 Re.Discover is one of the events on the Australian urban map created with a clear vision to support, promote and help create street and public art. 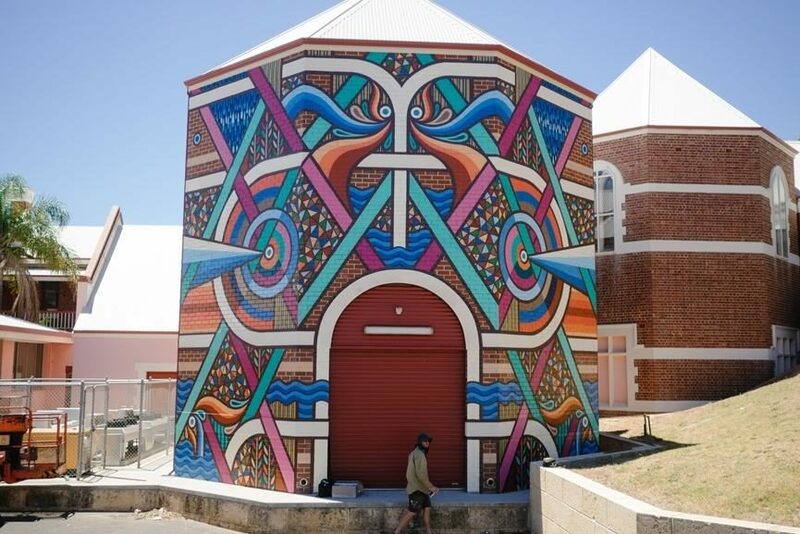 The festival is set in Bunbury, a little south-west of Perth, a town promising to become one of the most interesting galleries in the open on the far-south continent. 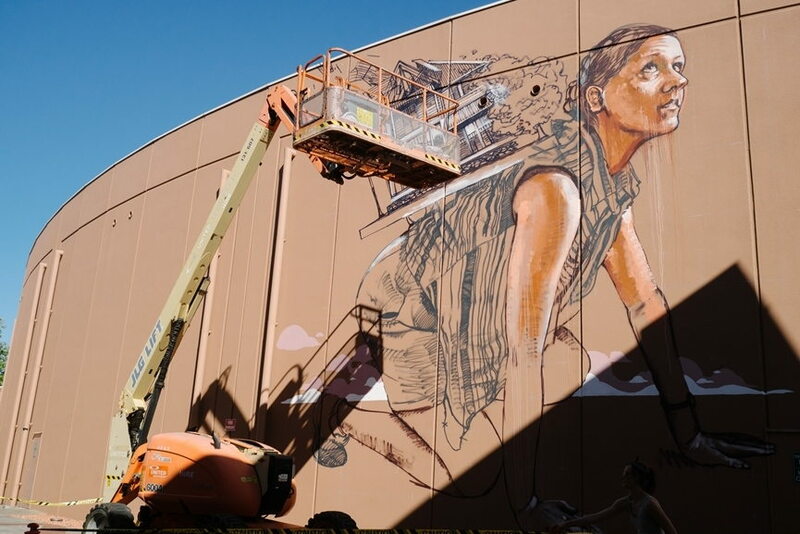 Adorned by murals made during the festival days, Bunbury is slowly getting a new, hip face, emerging as the place where cultures meet, united by art. 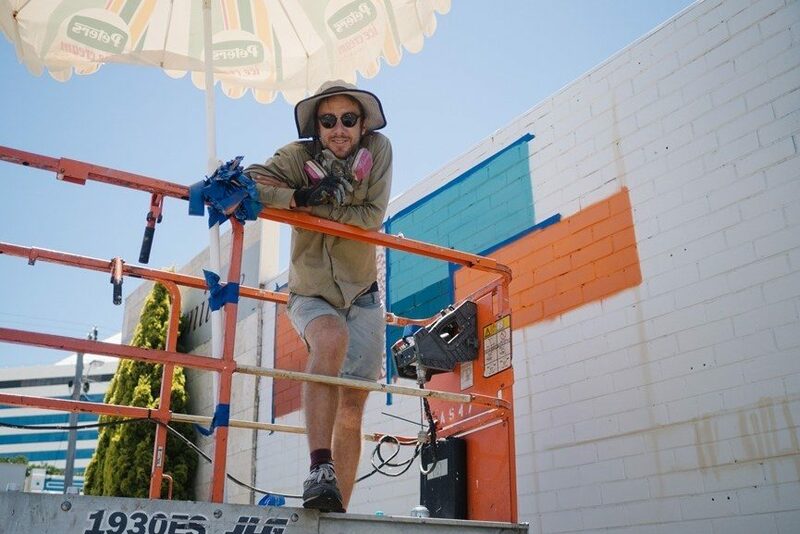 Community and mediation oriented, Bunbury’s Re.Discover is set to rediscover what it is that makes people excited about art and to get them talking to each other and being excited about visual culture. 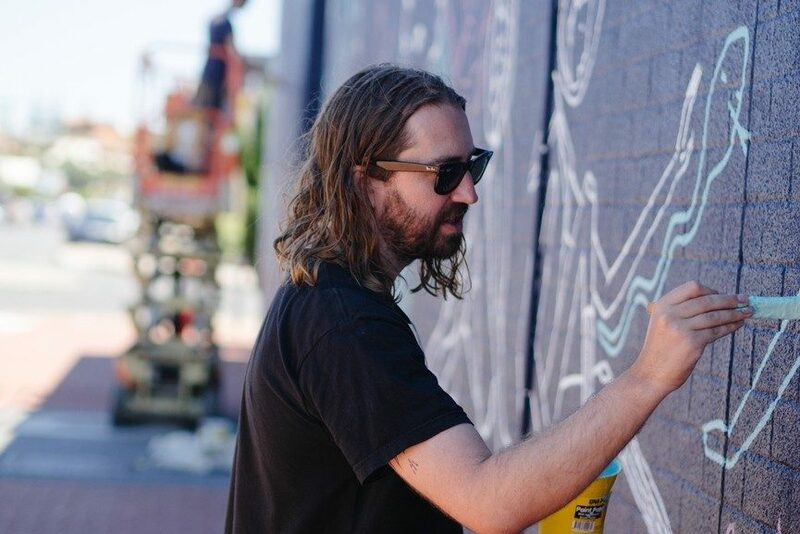 Bunbury Festival was founded in 2014 y Andrew Frazer, a local artist, and it started with a creation of six murals scattered throughout Bunbury’s Central Business District area, battling against the commercialization of the central part of the town. 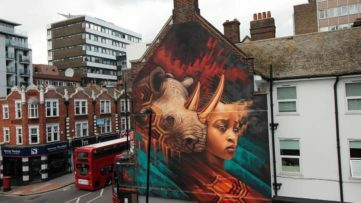 The public reactions were amazing, so 2015 is welcoming the second edition of the street art festival, currently ongoing. City of Bunbury was also happy to get involved in the project, as its potential promises a lot more than the potential of any shopping mall or a paid parking. 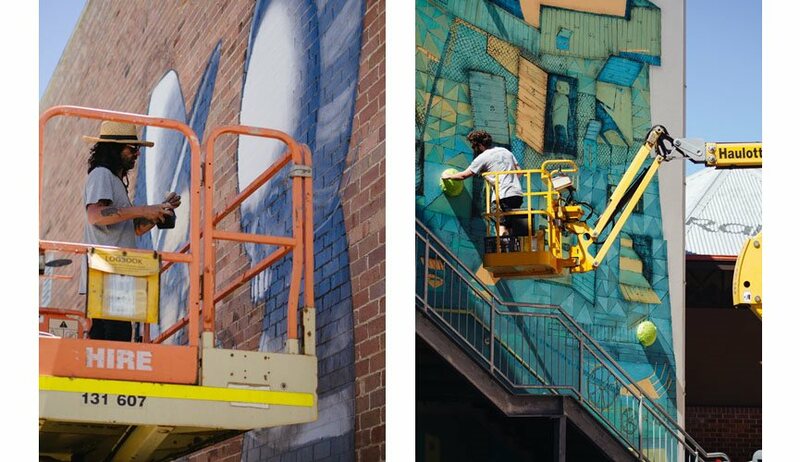 With optimism, enthusiasm and great energy, a group of creatives and supporters believes in their 25 murals in 2016 goal, counting on support from local businesses, property owners, art funds, and other donors. 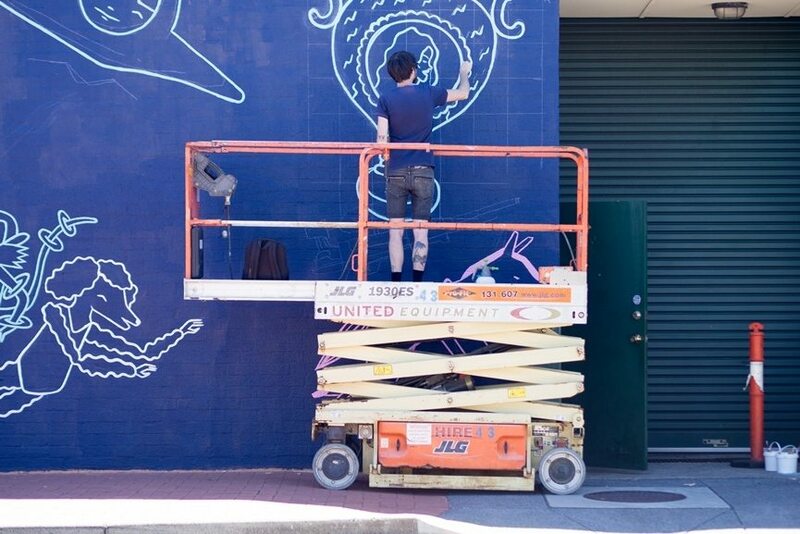 The 2015 Re.Discover street art festival began on Thursday, January 15, with outdoor painting sessions. The participating artists for this year, whose work is soon to be finished and visible to the wide public, include Stormie Mills, Beastman, Fintan Magee, Twoone, Kyle Hughes-Odgers, whose fantastic show All the Wrong Places we wrote about, Amok Island, Sean Morris, Fecks, Ghostpatrol and the founder, Andrew Frazer. 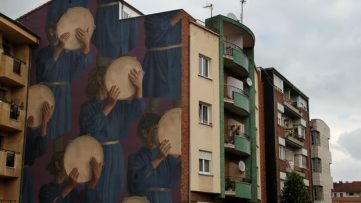 The final versions of the murals are to be revealed in the street art walk scheduled for Saturday, January 17, 2015, at 5pm local time. 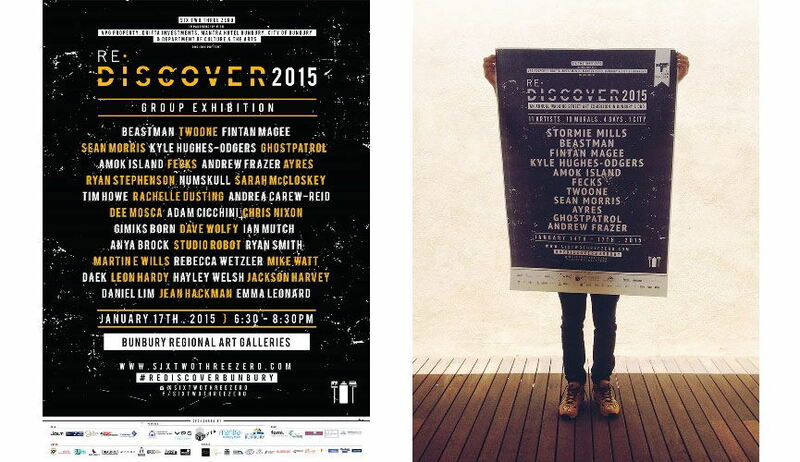 The satellite events of the last day of the festival encompass the Re.Discover Group Exhibition, an After Party and a longer opening hours of local art galleries. Saturday promises a spectacular night of art and culture, with a set of murals to stay and embellish the again-discovered Bunbury until the following wall painting session in 2016. We are anxious to see whether the 25-mural goal will be reached! All images depict Re.Discover 2015 Mural painting in progress. All images by Edwin Sitt, courtesy of Re.Discover Bunbury and Six Two Three Zero, the organizer. Love street art? Customize your Widewalls profile and stay tuned!